In a surprising move, the United Arab Emirates has just listed the Council on American-Islamic Relations (CAIR) as a terrorist organization. CAIR was among 82 groups listed by the UAE recently. CAIR, as most informed readers know, is a Muslim Brotherhood front group and a long-time supporter of Hamas and other terrorist organizations throughout the world. 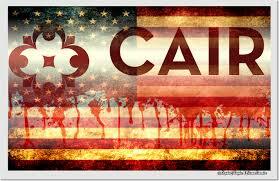 CAIR spokesmen claim that the group is simply a “civil rights” organization seeking to promote “common ground” between Islam and the U.S.
Two key books outline the real agenda of CAIR in America: The Muslim Mafia and The Grand Jihad. The Muslim Brotherhood, of course, has made significant inroads into the Obama Administration and has operatives working at all levels of the Obama regime.